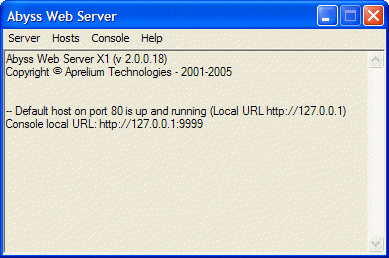 Click on a screen shot to view it zoomed. 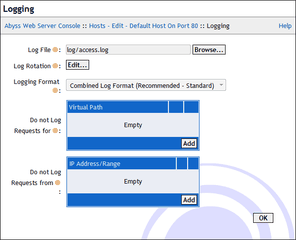 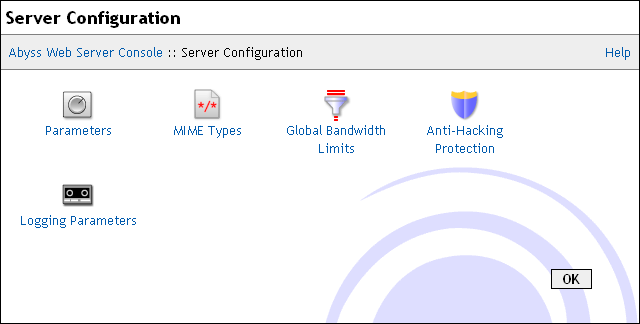 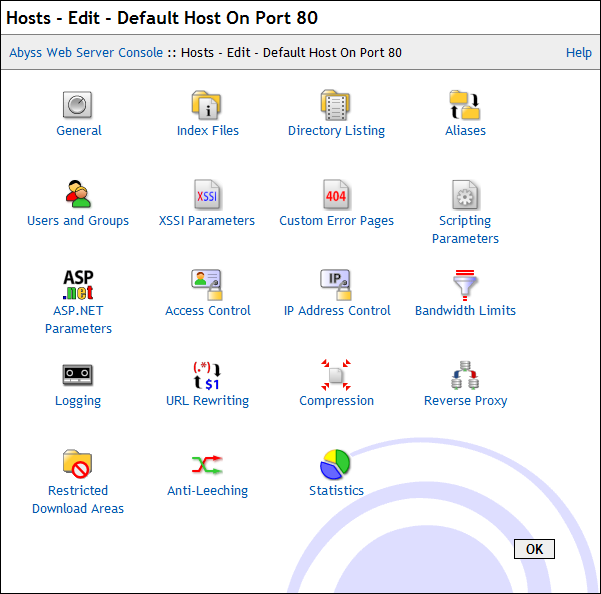 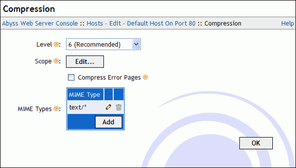 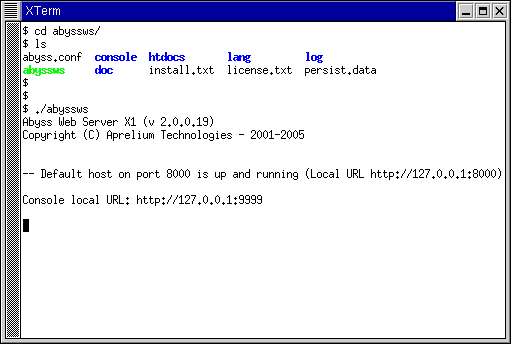 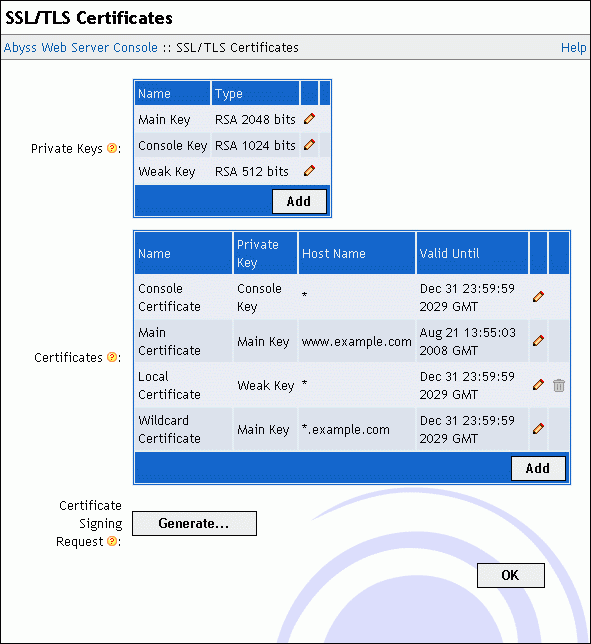 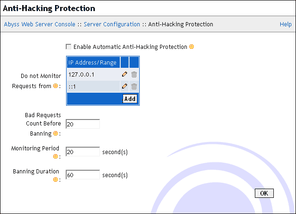 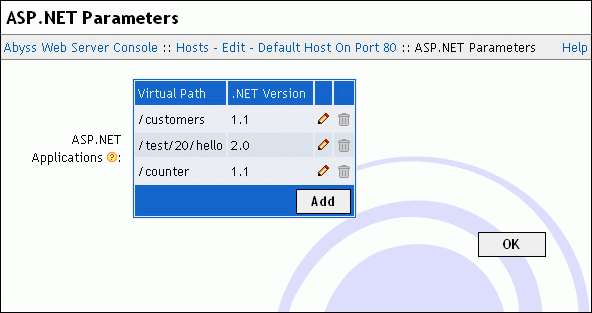 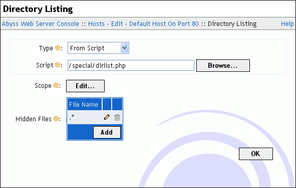 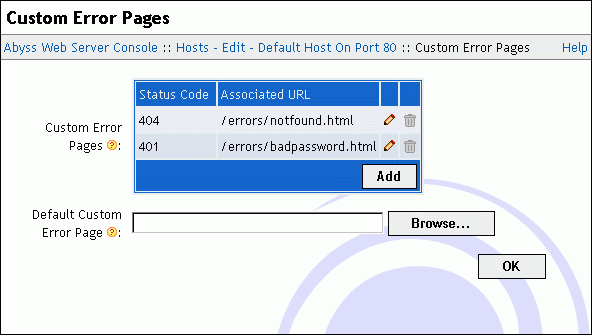 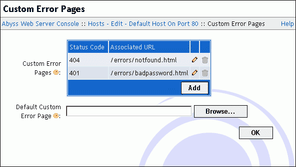 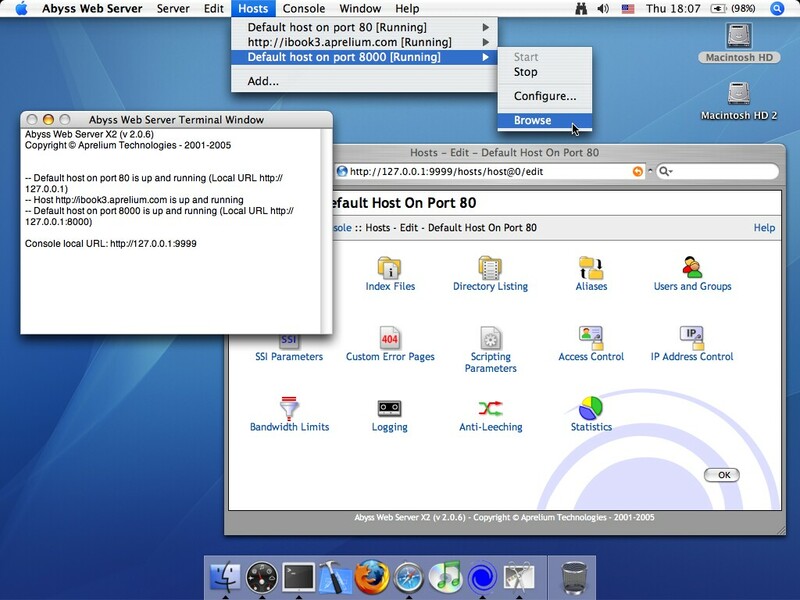 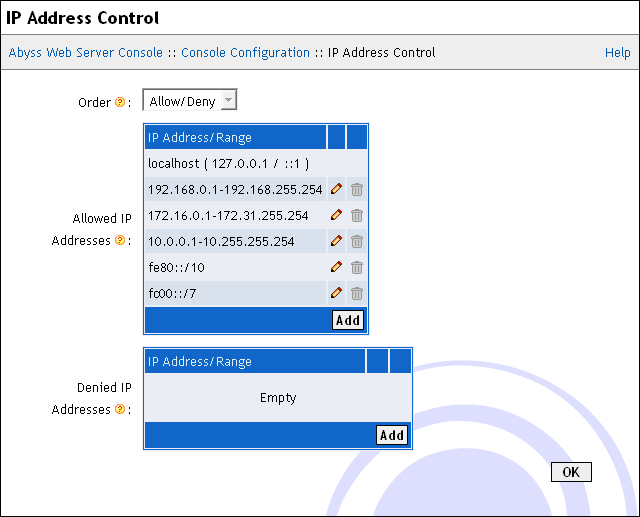 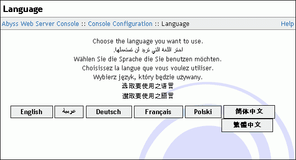 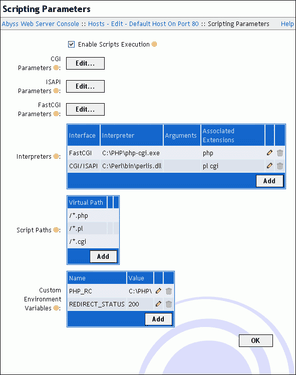 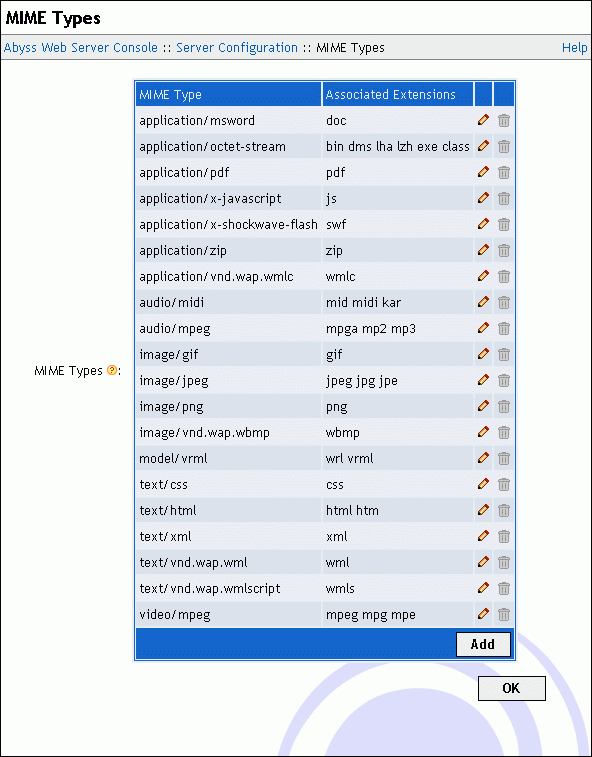 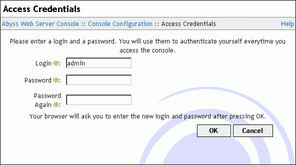 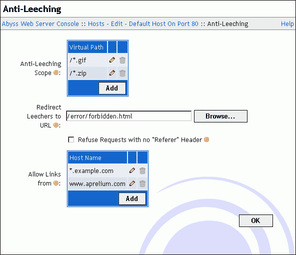 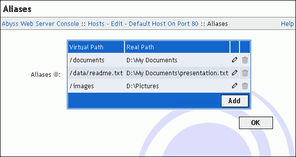 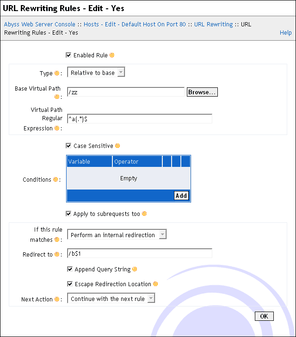 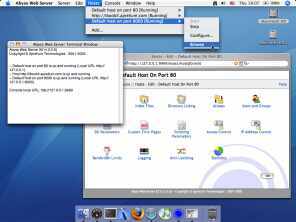 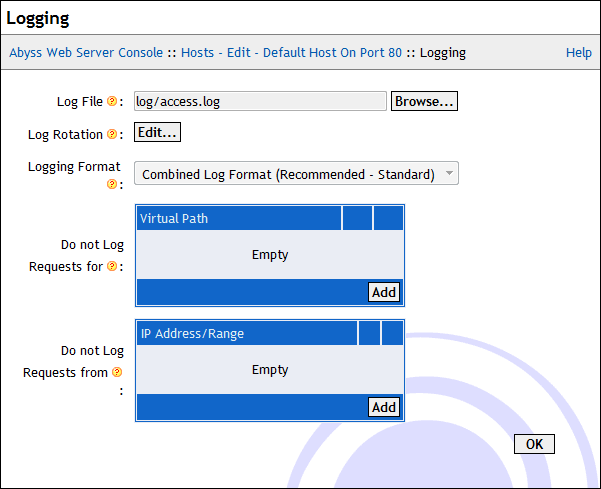 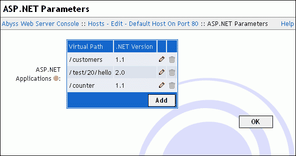 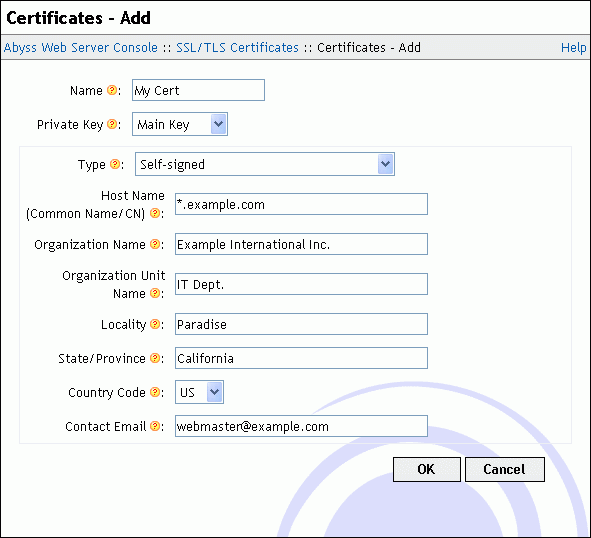 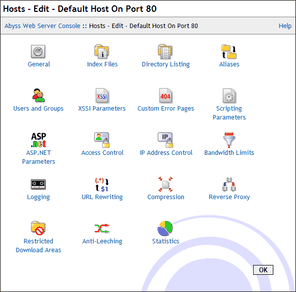 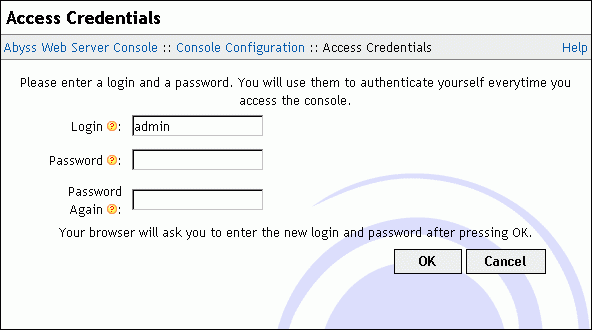 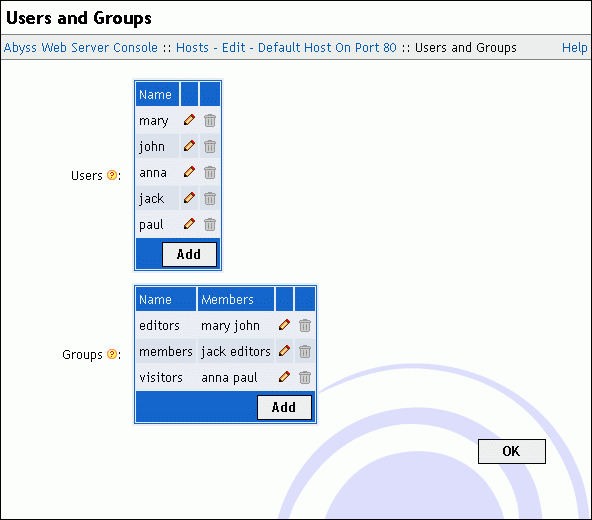 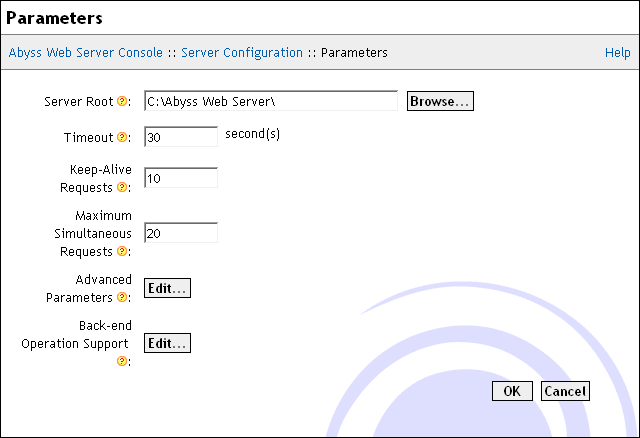 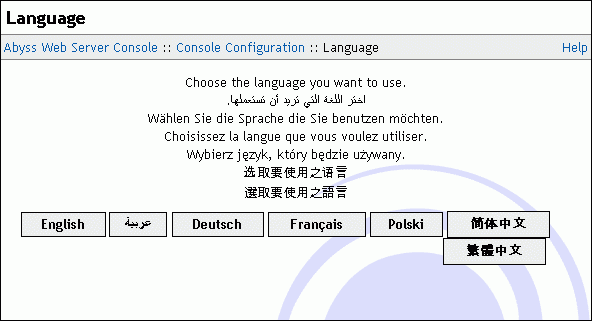 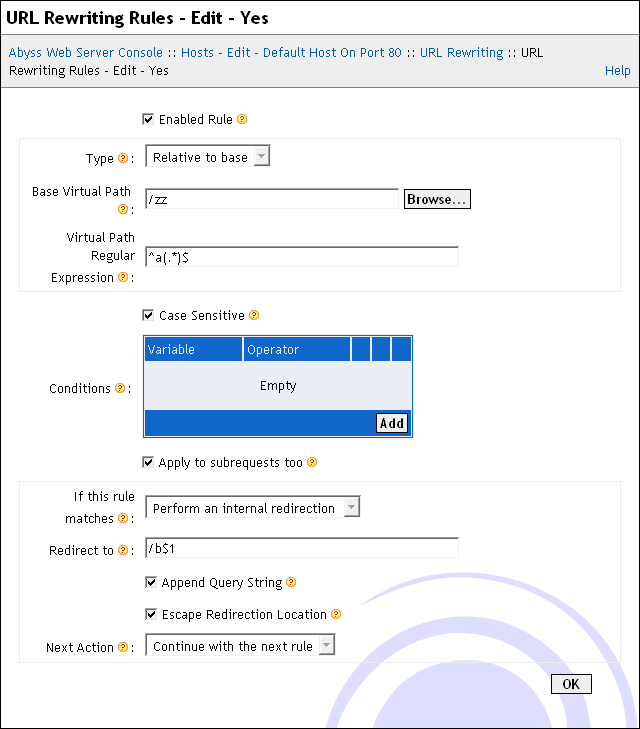 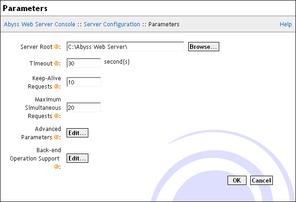 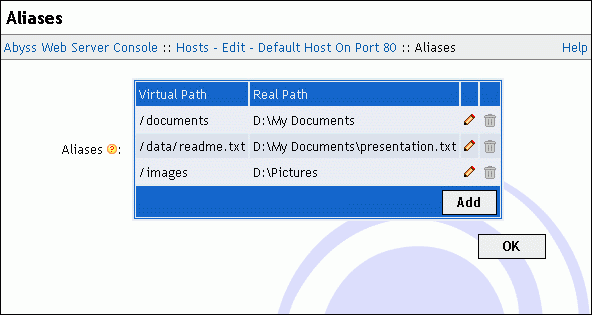 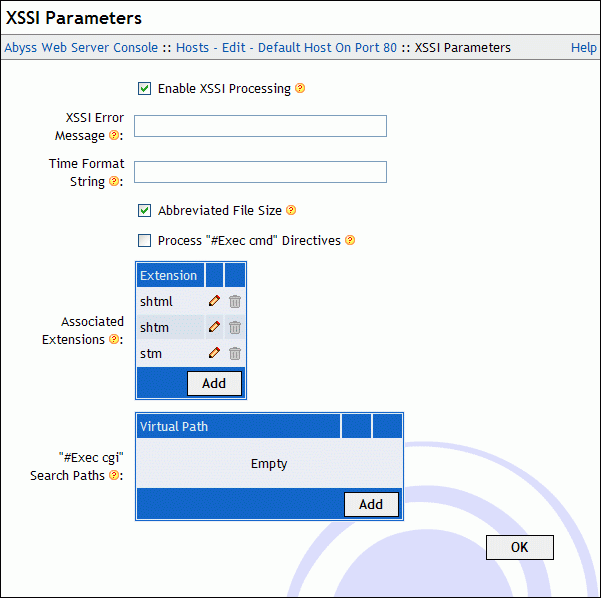 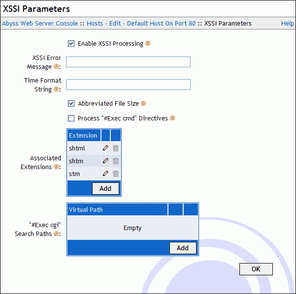 The console is a web based remote configuration interface. 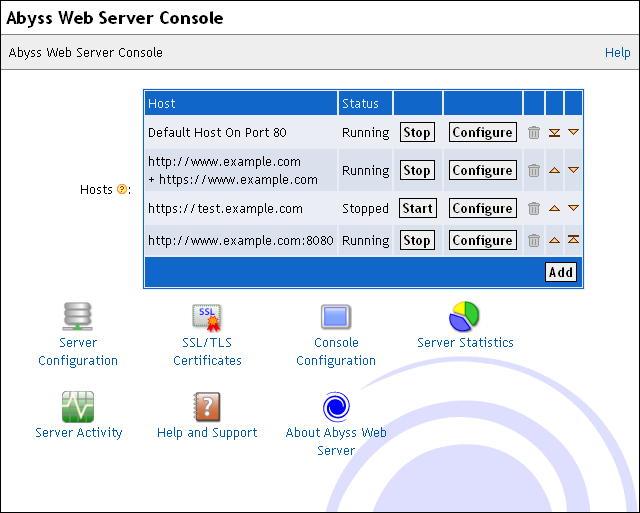 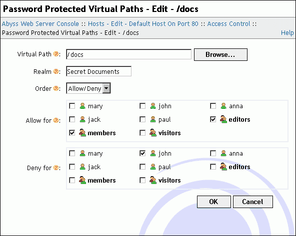 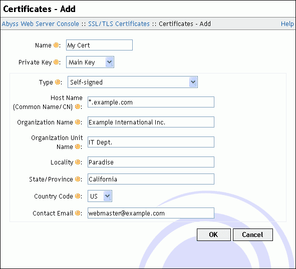 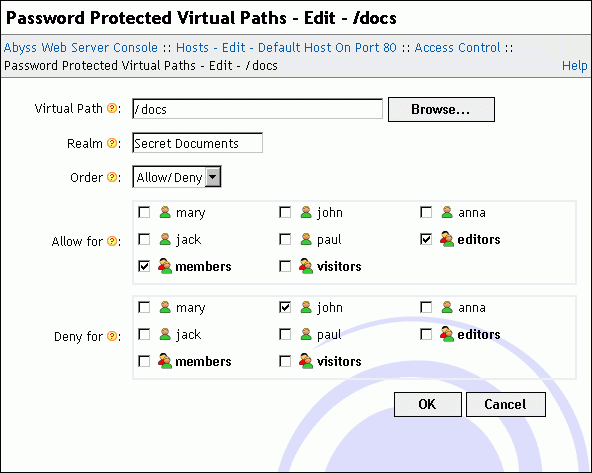 It can be accessed from the computer Abyss Web Server runs on and from any computer connected to your network. 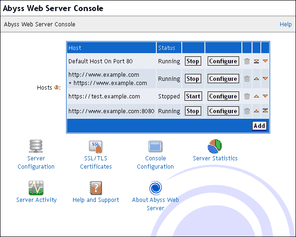 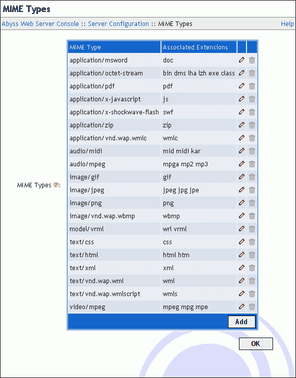 A standard web browser is all you need to view and use the console.